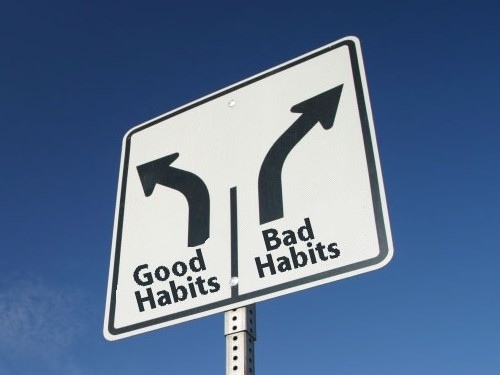 There are many statistics on how long it takes to break a habit. Whether you look at the length of time it will take or the number of repetitions, the point is that creating a habit is a commitment that takes time. Often, good organization hinges on breaking thought patterns and physical habits that have a root tied within us. In an effort to inspire you this New Year, here are three common habits that must be broken to give you more free time, save you money and keep you in control of what enters and exits your home. 1. Stop procrastinating the mail. So many of my clients have plenty of money in the bank, yet, they are bordering on getting their power shut off or retaining constant late fees, all for the fact that they throw their mail in a pile on the counter, by the door, or in a bag to hide from the company coming at 5:00. As a result they lose track of dealing with the bills and important tasks. New habit to try this year: Throw away your junk mail immediately, open each bill and place them in one spot to review on a set day once or twice a month. 2. Shopping the sales. Often I see clients rushing out to stores every time they get a coupon in the mail or there is some “incredible” end of the season sale going on. Sometimes they shop out of boredom or the constant need for something new. They have no real need for anything at the store, but don’t want to miss a bargain. What is the result? A house full of shopping bags unopened, tags still on, being stored for when the items might be needed. As tempting as it is to get a deal, when you have no reason to stock up, you are building an expensive and time consuming sorting and donating project for the future. New habit to try this year: Only buy an item on sale if you need it or have a need to use it within the next two months. Otherwise, avoid the stores all together unless you have a specific purchase in mind. 3. Putting items in bags or boxes when company comes. Much like the mail habit I discussed earlier, I frequently see clients shoving items in a shopping bag or box to deal with later so they can make their house presentable for a guest. Nine times out of ten, those items stay in the box or bag thrown in a basement, laundry room or closet until the accumulation is so great that they must do something about it to use the space. Again, you are setting yourself up for a time consuming sorting project of objects that probably have no significance in your home. New habit to try this year: Sort the items around your house to their proper home. If they aren’t important enough to place in a specific area, or don’t seem to fit a category, they probably aren’t important enough to take up space in a box in your closet either. Attacking these top three challenges this New Year could save you time, money and your sanity!